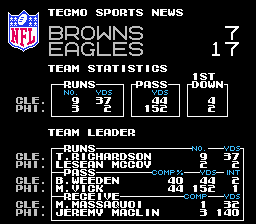 Anticipating the kickoff of the Browns 2013 campaign this coming Sunday, we here at keithisgood have decided to simulate the entire 2013 Browns schedule with the most impressive and up-to-date piece of technology available to us: Tecmo Super Bowl. 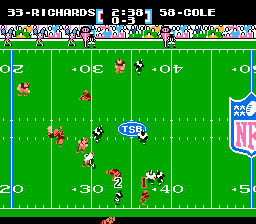 Using TecmoBowl.org's Tecmo Super Bowl 2013 rom (seriously, go download it), we'll go week-by-week, prognosticating and dissecting each 8-bit game. Iggles win the coin toss and choose to...gasp!... receive? Right off the bat it's Rodney Dangerfield for the Browns offense ("no respect!") giving us the ball to start the second half. Hopefully Weeden and Co. make Coach Reid pay for his over-confidence. 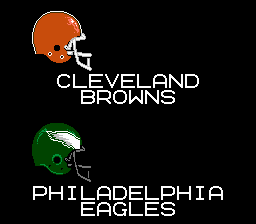 Here We Go, Brownies! Here We Go! After a massive boot from the Old Man and a nonexistent return, it's time for football, baby! Ouch. Despite a flub to start the game, the defense holds, and the Eagles settle for a field goal. Shake it off, boys! Rub some dirt in it! 'Cause it's time for the new-look offense to take the field. Cashing in on Draft Day's promise, the Brownies hand the ball to to Richardson and Trent busts an 8-yarder which shrinks the testicles of all those present to witness its majesty! After Vick and Weeden trade interceptions, the Eagles again go to Maclin, and on a near mirror of their first play from scrimmage, catch Haden sleeping for an easy TD. Weeden, instead of leading a sustained drive to regain momentum, decides to lob an easy pick on the Browns' first play from scrimmage.The Eagles make quick work of a short field and score on a--you guessed it--Vick to Maclin TD [See above picture]. Given back the ball, the Browns go: sack, incompletion, and short run to close out the half. But ah ha! Remember Coach Reid gave away the ball to start the second half! A Browns TD on the first drive would cut the deficit to 3 --practically a tie! But despite Richardson again carrying the ball like a beast, Weeden can't seem to find his receivers and the Browns quietly punt. The third quarter quickly degrades into an exercise in inefficiency, Iggles and Brownies trading punts and picks like they're 12-year-olds swapping Pokemon cards on the playground. The Browns, having intercepted Vick to end the 3rd, start the final quarter on a short field, a mere 28 yards from making a game of it. Unfortunately, the O-line has no answer for Eagles D line. Cullen Jenkins, Trent Cole and Fletcher Cox make Brandon Weeden eat more grass than a herd of cows. 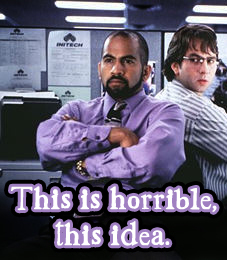 Deciding history is written by the bold, Shurmur opts to go for it on 4th and 2 instead of taking the easy field goal. 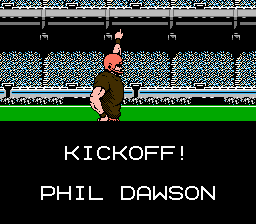 But instead of handing to Trent "the Tecmo Beast" Richardson, Patty S.outsmarts himself and calls Owen Marecic on an inside draw which fails miserably. Eagles ball. Given a gift by their bumbling hosts, the Eagles proceed to unload their arsenal of weapons a la Rambo. McCoy, Celek and (again?!) 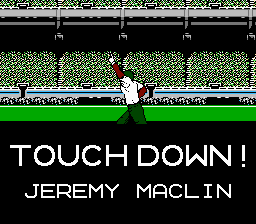 Maclin on three straight plays put the game out of reach with another touchdown. To quote Spaceballs: "Oh no..not again!" 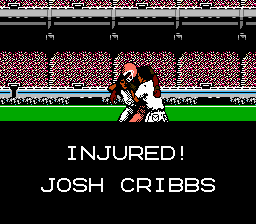 At this point, TBC (the Tecmo Broadcasting Company) switches coverage to another game. The Browns continue their offensive crapulence, and despite a decent showing by the defense, the Eagles collect more sacks than a crazy bag lady and tack on another seven. And really, it wasn't even as close as the stats would make it look. After a quick start, the Offense couln't manage to string together three decent plays. Finding themselves in a hole by the middle of the 3rd, the play calling quickly went pass-heavy, leaving the Browns best weapon, Trent Richarson, relegated to mostly pass blocking. The D held as best it could but couldn't manage, given Philly's multiple short fields. Impressive in his debut, Trent Richardson gets the gameball for being the lone bright spot in an otherwise dismal offensive showing. So, bad news: the Brownies start 0-1 again. The good news is that we're going ginger-on-ginger with next week's Weeden v. Dalton matchup against the Bengals. The ol' Ben-Gals are always good for an early season faceplant, right?